“Hillbilly Jim often found himself standing across the ring from nefarious Superstars managed by Jimmy Hart, but in the years since their heyday, the relationship between the two men changed. 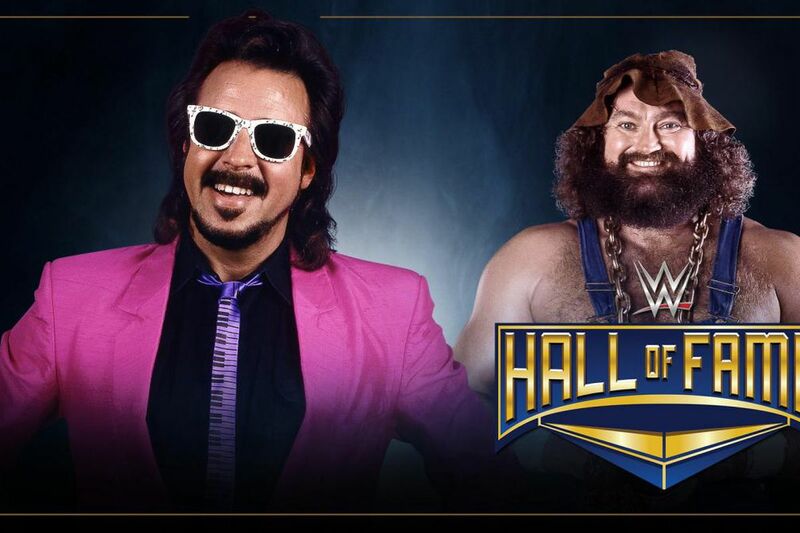 Their new dynamic will be on display when Hart inducts Hillbilly Jim into the WWE Hall of Fame during the 2018 Induction Ceremony, streaming live on WWE NetworkFriday, April 6, at 8 ET/5 PT.Hillbilly Jim arrived on the scene in WWE in late 1984 as the protégé of Hulk Hogan, which made him a prime target for Hart and his collection of evildoers. The man from Mudlick, Ky., did battle with the likes of The Honky Tonk Man, Greg “The Hammer” Valentine and Earthquake, all as “The Mouth of The South” lurked at ringside, ready to help his charges gain victory by any means necessary.